who wants more than anything to find someway to create a niche in the world and still hold on to some of that special or quirky something that defines who she, he or ze is. New Lifestyles now offers an additional housing option to all clients. The zE House, designed as a welcoming, inclusive, gender-expansive environment will provide New Lifestyles clients a safe home in which to explore gender identity and preferences on their own terms, and at their own pace. The zE House is located in a quiet residential neighborhood in the culturally rich college community of Winchester, VA. that includes an active PFLAG chapter, numerous LGBTQ friendly supports and medical services. Of course, additional, cutting edge, LGBTQ services, support, resources and political activity are available in the nearby, invigorating, metro, Washington, DC hub. NATSAP Shines the Spotlight on New Haven! New Haven, located in Utah, is a residential treatment center and private school for adolescent girls struggling with a variety of complex issues. Our campuses contain several residential homes and a school, allowing us to provide healing for 90 families. We stay true to our original intimate model of individual treatment, with teams assigned to each house of 12-17 students. After twenty years working together, our treatment team is one of the most experienced in our field. We help our students and families learn from the past, heal in the present and plan for their futures. We deliver clinically sophisticated therapies in a context of love and connection. The Family Works© model we employ is family focused, values based, and multi-systemic. Our students are engaged in therapy each week including: specialty groups, experiential, individual and family sessions. We are also a fully accredited private school allowing the students to continue earning credits in a traditional school setting. Our families are regularly involved with our program, which helps ensure the entire family is changing and healing together. This makes it possible for our girls to return home and have lasting success after leaving New Haven. NATSAP Shines the Spotlight on Chrysalis! Chrysalis is a small therapeutic boarding school located in beautiful northwest Montana. Our mission is to provide the best quality therapeutic services, education and experiential opportunities to adolescents and their families in the context of a warm and nurturing boarding school environment. We provide a special blend of care and therapy to help girls recover from a past of pain, sorrow, difficult family situations, personal mistakes and self-destructive behavior. Chrysalis enables students to develop healthy coping, living, communication, and interpersonal skills. We have an incredible adventure program, and every student participates in an international trip during her time at Chrysalis. NATSAP Shines the Spotlight on Solstice RTC! Solstice Residential Treatment Center is a groundbreaking treatment facility for troubled adolescent girls that emphasizes the mind-body connection in a unique approach to holistic healthcare. Solstice RTC is an intensive clinical program with a primary clinical emphasis on trauma, loss and attachment, and a secondary emphasis on addictive behaviors and patterns. Solstice clinicians have specialized training and experience treating trauma and its associated symptoms. These three areas of emphasis drive a very powerful and effective approach to healing young women and their families. With a strong emphasis on family therapy based intervention, nutrition and physical fitness, and the supportive provision of cutting-edge academics, substance abuse/addiction therapy, equine therapy, and psychiatric services, Solstice sets the stage for the infusion of light into the previously darkened lives of the families we serve. Utilizing the archetypal Hero’s Journey as a guide, we help our students to Believe in themselves, Begin their journey toward hope, and Become the Hero that they are destined to be. Wednesday, June 24th, 1 pm EST: Getting Ink: Building Relationships with Local Journalists. Just the thought of picking up the phone and hearing a reporter at the other end might make any NATSAP member panic. Have no fear. In this one-hour webinar, NATSAP’s award-winning PR consultant, Sheri Singer, will discuss how to feel confident when responding to media inquiries, understanding how the media works, what reporters are seeking, tips to make answering interview questions easier and how to handle the press during a crisis. At the conclusion, you will know how to handle a media request like a pro and keep your program or school’s reputation intact. Friday, July 17th, 1 pm EST: Understanding the Interstate Compact on the Placement of Children. This webinar focuses on the challenges our Member Programs have faced with the Interstate Compact on the Placement of Children (ICPC) as well as the solutions they have devised. Join Ken Stettler (Provo Canyon School), Stacey Astin (Youthcare), and Megan Stokes (NATSAP) as we discuss the ICPC. Webinar attendees will learn the history of the ICPC, how to correctly fill out form 100A and 100B, member issues with the ICPC, proven solutions that members have created, an update on the new ICPC language, and more about NATSAP’s goal of supporting legislation that updates the ICPC. These webinars are free to NATSAP members. To register, simply click on this link and follow the prompts. Once you’ve registered, we’ll send you the links for the webinar. 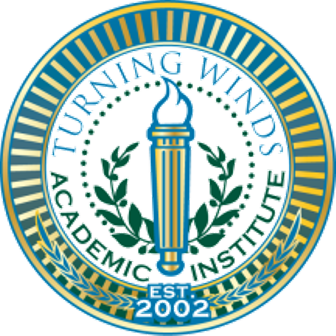 Turning Winds Academic Institute (TWAI) is a premier therapeutic boarding school for struggling teens ages, 13-18. Our highly effective treatment program delivers a synergistic and unique experience of academic achievement, programmatic excellence and therapeutic effectiveness, resulting in a positive transformation for both the youth and families that we serve. Our licensed professional clinical team assesses each student and participates with the student and their family to identify areas of concern; develops individualized goals and objectives designed to guide the change and personal growth process. The therapeutic process is enhanced through engagement of weekly-individualized therapy with a licensed professional counselor who is focused on your child’s emotional growth and helping them achieve their clinical goals. Furthermore, we also utilize Psycho-educational activities, Group Therapy along with Addiction Recovery Groups for those who may need additional support through the therapeutic process. We specialize in the following presenting issues: low self-worth; lack of motivation; low to moderate behavioral issues; poor academic performance; various adolescent disorders which may include ADD/ADHD, depression, various substance abuse and addictive behaviors, spectrum disorders and attachment disorders. Students at TWAI experience a first-class academic experience. Parents are often amazed at the academic progress and support that their child is able to obtain. On average, students increase their GPA by an entire grade point. Also, it is common for a student to complete 1.5 years of schooling in a 12 month period of time. Over 90% of students who graduate from TWAI, enroll in some of the most competitive colleges and universities in the U.S.